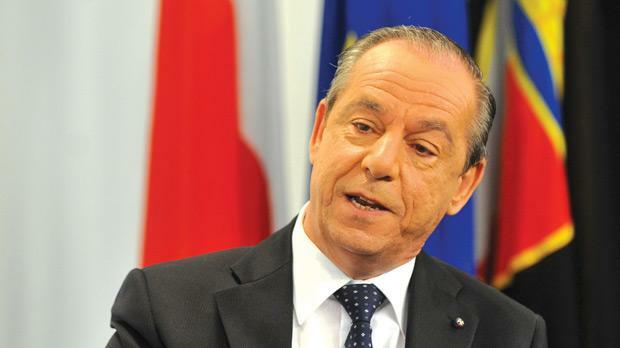 Prime Minister Lawrence Gonzi tells Herman Grech he is proud to have left a legacy of work and warns about a Labour Party only rich on slogans. In a few words, how would you describe this past legislature? It was difficult but we can serenely say we delivered results. Malta is nowadays strong compared to other countries. The results speak for themselves. They were also five turbulent years riddled with internal strife in your party. Yes. They were more than turbulent, both internally and externally. The most difficult parts concerned the economy and the European recession, which could have shut down several of our factories. But we saved them. We emerged well from the Libyan crisis. Just two days ago, the European Commission gave us a certificate of economic growth. We have low unemployment, record exports and tourism. This comes at a time when other European countries are on their knees. We’re in the last week of a long campaign. What’s the biggest regret of this campaign? Was everything fine with the campaign? No. But when you weigh everything I believe we managed to get our message across. We faced big disadvantages since the Labour Party appears to have an infinite source of revenue. We didn’t, and we couldn’t be as aggressive in our advertising. But where political substance was concerned we beat them hands down. What’s the first thing you plan to do if you are re-elected on March 10? I will address the weakest aspect of our administration – the interface with the electorate. While we need to concentrate on the bigger picture, we need to ensure that in the next five years we deal with issues which impact people’s daily lives. If Simon Busuttil is elected and confirmed in his post, he will have this specific role. What’s the first thing you will do if you suffer defeat? I will turn to the party councillors and weigh their trust to see if I can still lead this party. I don’t run away from my failures or successes. The election result will deliver a message and I will listen to it. During last Tuesday’s debate organised by The Times you said you won’t resign if you lost the election. Many are interpreting it to mean you won’t let go of power. Whoever knows what this job entails knows it’s a hot seat. It will be a mistake for anyone who refuses to let go of this position because he’ll be burnt. I’m consistent. I will not shirk my responsibilities. Joseph Muscat said he’ll resign if he doesn’t succeed. That’s the worst form of irresponsibility. If the PN loses the election, I will shoulder my responsibilities. There are six days to go and the polls are showing the PN is failing to make inroads. Is it game over? No, it’s not. A big chunk of the electorate will decide in the last 48 hours. Until the last minute you never know. Does the PN have a potential game changer for the last week? There are no game changers. We are a party that generates work and we have a track record. The Labour Party just speaks of ‘roadmaps’ and a change in direction that nobody understands. The only thing we know today is that Labour believes we should have left the shipyards open. Last Tuesday you said you wouldn’t object to a referendum on spring hunting and suddenly you could have potentially tapped into the votes of several environmentalists. Instead, within hours, your party issued a statement retracting everything and reassuring hunters. We have a consistent position. We have to abide by our laws. Nobody has a right to deny a referendum if it is requested. My answer was crystal clear. It would be shameful if this wasn’t the case unless we wanted to deal a blow to democracy. On the other hand, let’s not forget we were the party to negotiate the hunting agreement with the EU; and we defended such negotiations to the extent that we went to the European Court. This is the same like the situation with students. Some applauded, others didn’t. I respect everyone’s opinion. But let’s not lose focus on the most important things and do our utmost to avoid the pain experienced in other countries. If we do that, your decision should be clear, irrespective of whether you’re a hunter, an Mcast student or a parent. Malta needs a government to create work. You keep saying everyone should consider the country’s future, job creation, the sustainability of the health sector and what had happened in neighbouring states. Those are the bread and butter issues. Other issues are marginal. But do you think these are the priorities of many people out there? Of course. Because when somebody receives his job termination letter, do other issues matter? The truth is that beyond the election celebrations, people need to ask whether they have a government that can generate work. I’m not into fairy tales, I’ll leave that to those coming out with slogans but have no substance. The economy is clearly essential but there are still many whose priorities are minority rights, others want action against squatters, you even had a transgender case which was dragged out. Maybe the PN was out of touch with the real issues facing a section of the electorate. ...but this party has been in government for years. Still, many people claim the PN has not lent them an ear. Yes, they might be right. A year ago, I asked the PN councillors for a vote of confidence, I took the initiative to appoint Simon Busuttil and Paul Borg Olivier to establish contact with the people. Our electoral programme is a result of those meetings. We have plans for our pensioners, students, businesses. If your proposals are so good, why are so many calling out for change? Change is a natural thing and it’s good. We are the authors of change. We have just inaugurated a park in Marsascala. I’m sure you want to be Prime Minister again. A lot of voters want that changed too. The Prime Minister is the author of change together with a team. Change is happening at Mcast and University because of our investment. I want to continue seeing change in the health sector. I want to see even more change towards a modern economy. In Labour’s case, the change Joseph Muscat proposed was that we should have kept the shipyards open. This was an entity which was soaking up millions in taxpayers’ money and Joseph Muscat is prepared to keep it open because he is scared of assuming political responsibility. Joseph Muscat is even finding it difficult to take simple decisions. A report of drug trafficking was made in one of his party clubs. He should have reported the case to the Police Commissioner. Instead he chose to hide the information. His deputy leader went to the police to urge them not to proceed with the case. This is a throwback to the times when the police were used to stop us holding a meeting at Tal-Barrani. A good chunk of your electoral campaign focused about the fear of Labour in government. I disagree. A lot of our campaign was built on the importance of job creation. It would be scandalous if we were to hide the drug trafficking case. How do you feel about the fact that a number of traditional PN supporters are openly endorsing Labour? It’s their free choice and I respect it. I hope voters ask themselves who has made the right call. During the Xarabank debate, it was clear Muscat can’t even defend his own advice that we should follow countries like Cyprus. We haven’t been perfect, we’ve made mistakes, but our strategy has derived results others haven’t. It was Anġlu Farrugia who made that claim, not myself. But ultimately, the PN has been very close to businesses in the past. Isn’t it a case of the pot calling the kettle black? Not true at all. We didn’t go to the police station to stop them from taking action. We were the ones who suggested a presidential pardon so the truth comes out. But back to business, do you blame your critics for raising eyebrows when they hear the PN has borrowed money from one of the main contractors? Every commercial company has credit arrangements with a company. Everyone operates this way. Why not borrow from a bank? It depends what period you need the loan for, business is built on these arrangements. It would be wrong if someone tries to gain an advantage over tenders and contracts because of such arrangements. Let’s not forget it was the Labour Party which went to Dubai with contractors. Both Simon Busuttil and yourself are acknowledging your party have made mistakes and promising to make amends. We heard these same comments from your party in 1998, 2003 and 2008. Why should the electorate take note this time? Because we’ve proved we’re taking these statements seriously. A year ago, Simon (Busuttil) organised a series of meetings with different sectors of society for which I was present. In the next legislature, he will have the specific job of building this interface with the public. During this legislature, we got the bigger picture right, but yes, maybe we didn’t communicate and failed to address the pains of certain sectors. We’re in the last week of the campaign. How can you convince reluctant voters, or even traditional PN supporters who switched allegiance, to rethink? I need to warn them that by risking voting for someone who has only given bad advice they would be risking their future. The PN has given them results in the last five years. The PN represents a quality of life. We are proud to be Maltese. Don’t experiment. It’s not worth the risk. We need to remain solid in the most important matter – the creation of jobs. If that fails, everything else will. It will be a domino effect. Just look at what happened overseas. Joseph Muscat is the same man who last Tuesday said the dockyards should have remained open, the same shipyards which soaked up €35 million a year, the same ’yard which spectacularly failed despite our efforts. Now that it’s privatised it is contributing to the economy. Joseph Muscat has a long history of wrong decisions. The choice is clear. In five seconds we will decide a five-year term. During the past five years we experienced disasters in Europe, we saw upheavals in the Mediterranean and dictators go – but Malta has remained stable. Let’s not leave our country in the hands of someone who has made mistakes in opposition. If you make the same mistakes in government it’s dangerous. If he gets it wrong, he will get it very wrong.